To reduce feline and canine euthanasia in Fresno by providing financial support to assist low-income and homeless families with spaying and neutering pets. Millions of healthy, adoptable dogs and cats are euthanized each day because there simply are not enough homes to adopt them. 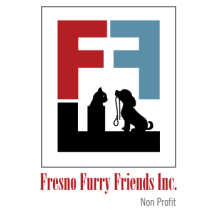 Fresno Furry Friends was founded in 2015 growing concern our vast number of furry friends are put to sleep. We want to help and educate people to control unwanted animals. These animals can not speak for themselves we are their voice so lets team up and make a difference. The cost to spay or neuter your dog is relatively low if you consider all the benefits you and your dog will reap over his lifetime, as well as the satisfaction of knowing you are doing your part to prevent the birth of even more unwanted animals. The single most important thing that we can do to save cats and dogs from all the suffering and death that their overpopulation causes is to spay and neuter them. Spaying and neutering are routine, affordable surgeries that can prevent thousands of animals from being born, only to suffer and struggle to survive on the streets, be abused by cruel or neglectful people, or be euthanized in animal shelters for lack of a loving home.